Physically disabled with reduced mobility. People with temporary physical disability that prevents them from or makes it difficult for them to queue up. It is necessary to proof any such condition by means by means of an official document in addition to a national identity card or equivalent document. 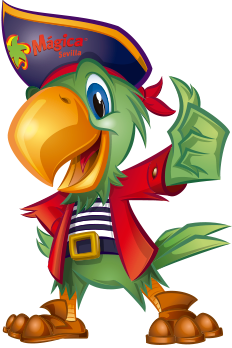 Due to the wide range of cases that may exist, Isla Magica reserves the right to approve the provision of this service for visitors presenting special or exception circumstances not explicitly listed herein. Likewise, the service may be provisionally suspended in all or any of the attractions for operational, safety or technical reasons or for any other Isla Magica may deem appropriate. In order to improve the service provided to disabled visitors, there is the chance to enter some of our attractions for a family group in one single access (provided that the specific conditions of each attraction allow it). This option is provided in: Travesía, Anaconda, Navío Barbarroja, Tren del Potosí, Iguazú, Toneles, Balas, Dimensión 4, Rápidos del Orinoco and Zum Zum las Abejitas. Such family group can comprise a maximum of 5 people (including the disabled person). 1. Users of this service are not exempted from meeting the general conditions of use of attractions and the specific access requirements for each attraction. 2. The specific safety measures of each attraction will be applied to all users, and additionally, in certain attraction users must have the physical ability to grip with both hands and keep their back straight. For example, El Desafío, Anaconda, Las Llamas, Jaguar, Iguazú and Rápidos del Orinoco. 3. Season passes marked with “Acceso preferente” (preferential access) and the wrist band identifying this service are personal and non-transferable. 4. Identification wrist band are valid only on the day they are placed. 5. Attractions shall be entered through the exit lane and the operations staff shall be contacted, you can never enter the cars or their transit areas until you have been duly authorised. 6. Disabled visitors must identify themselves as authorised users of the preferential access service by means of the coloured wrist band, or in the case of Season Pass holders, by means of the “PREF” stamp on their Season Pass. 7. Joint access of a family group is possible in some attractions (La Travesía, Anaconda, Navío Barbarroja, Tren del Potosí, Iguazú, los Toneles, Capitán Balas, Dimensión 4, Rápidos del Orinoco and Zum Zum las Abejitas). They must always go together with the disabled visitor and there is a maximum of 5 family members. Service subject to availability. 8. The capacity of each attraction, as far as passengers with reduced mobility is concerned, is very limited for security reasons. This will vary depending on the attraction and other operational circumstances. The staff operating the attraction will provide further information on this issue, as well as of any other of interest at the time of access. In all cases, remember that is mandatory that every disabled visitor must be accompanied by another person that can help him or her. 9. In the case of intellectually disabled persons, remember that is very important to ensure that the visitor has understood correctly all instructions for the safe use of the attraction, either directly or through the person assisting him or her. 10. Improper use of this service by the beneficiary may result in its cancellation. 11. 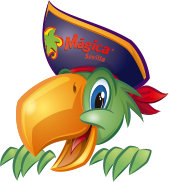 Isla Magica reserves the right to suspend the preferential access service for operational, safety or technical reasons or for any other Isla Magica may deem appropriate. 12. Use of this service implies accepting its conditions of use. Such conditions of use will be displayed in the Visitor Assistance office of Isla Magica theme park.